I have a confession to make: I had never hiked solo in the Philippines. Nope, I had never hiked solo in my own country where I presumably have more local knowledge and know the language. I guess I was just too anxious about getting lost; you always need a guide there since trail markers are uncommon in the mountains. I was also scared of getting injured and not having anyone to help me. When I went on my first solo hike (I hiked solo to Machu Picchu in Peru, of all places), I had several misgivings as well. What if I got lost? What if I would get arrested for hiking along the tracks? There were so many what ifs! In Israel, however, I never had any fears about hiking solo. Here’s why. Trails in Israel are clearly marked. Hiking in Israel is easy. A lot of tourists go hiking on their own, whether solo or with friends. 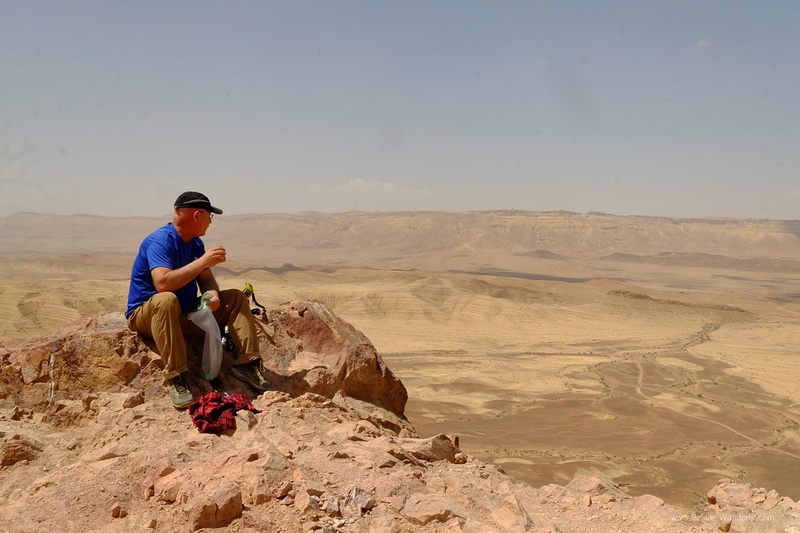 There are hiking tours in Israel with guides, yes, but these usually include logistical support (vehicles, tent for multi-day hikes, food and water, etc.) as well as other activities, like meeting up with Bedouin families. When it comes to just hiking, it’s easier to do it on your own. Why? Well, Israel has well-established trails. Any hostel or hotel can provide you with maps that have the trails clearly marked. 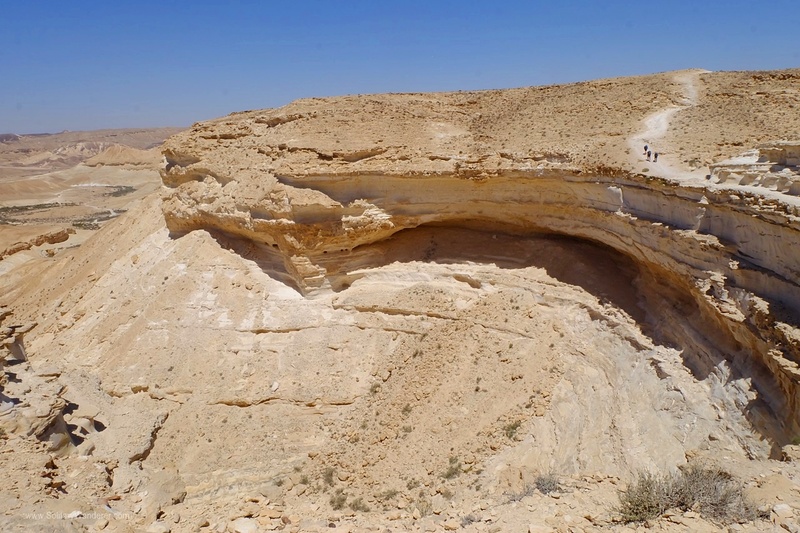 Random solo hiker atop Ramon’s Tooth in the Negev. 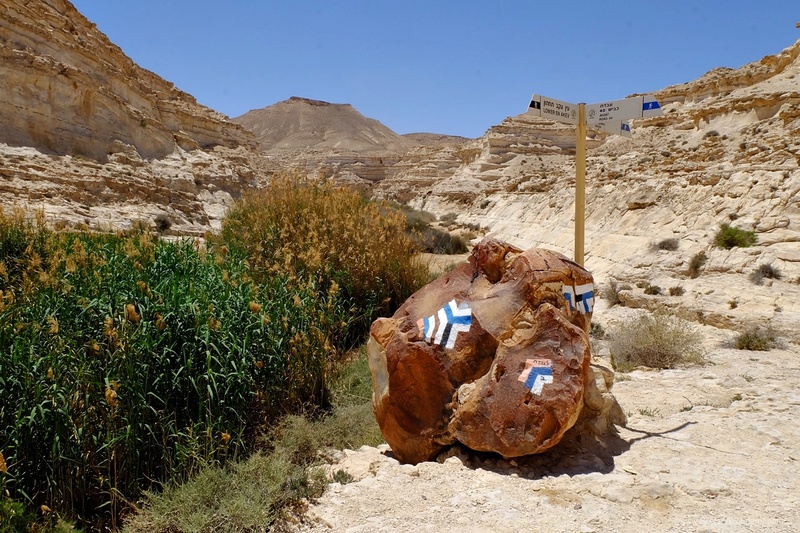 In Mitzpe Ramon in the Negev Desert, for example, the Green Backpackers Hostel came up with a guide to short hikes in the area. Want a short one with a nice view? Choose the Green Trail (The Carpentry). Want a longer one with a fantastic 360-degree view of the desert? Go take the Red Trail (Ramon’s Tooth). Hiking Israel is definitely easy, as there are hiking trails for all levels, from 1-hour trails to the epic Israel National Trail that will take you months from north to south. What’s common in all these hikes is the color of the trail markers. The trail markers indicate the direction where you should go. 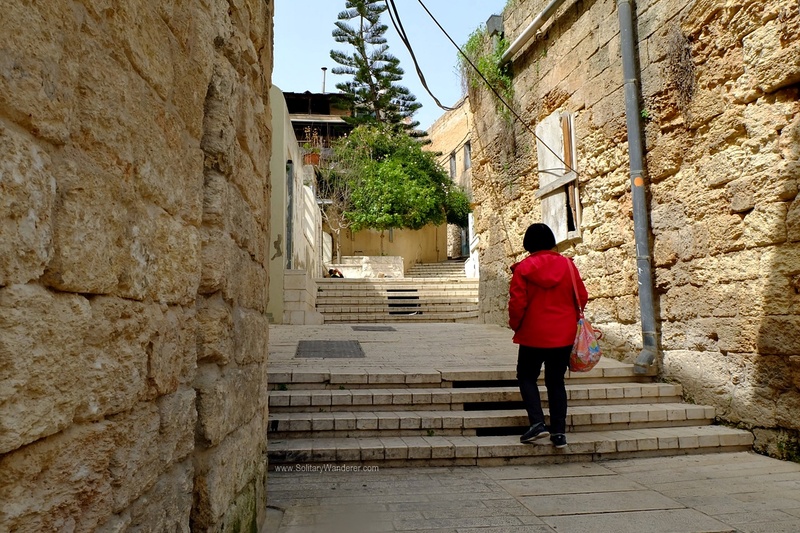 My mother following Jesus’s Footsteps (orange dot) in Nazareth. There are four common ones: green, red, black, and blue, used with white on either or both side. The Israel National Trail (1,015km, completed in 45-60 days), for example, an “epic trail” according to National Geographic, is marked with white/blue/orange stripes. The Golan Trail (125km, 5-8 days) has the white/green/blue marker, while the Jesus Trail (60km, 4-5 days) has the white/orange/white marker. No rocks around? Markers can be put on sticks! These markers indicate that you are still on the trail, as well as which direction to go: straight if you should go straight ahead, and turning left or right if your trail goes in either direction. Look for these markers on rocks, trees, or fences. You can even find them propped up on sticks! 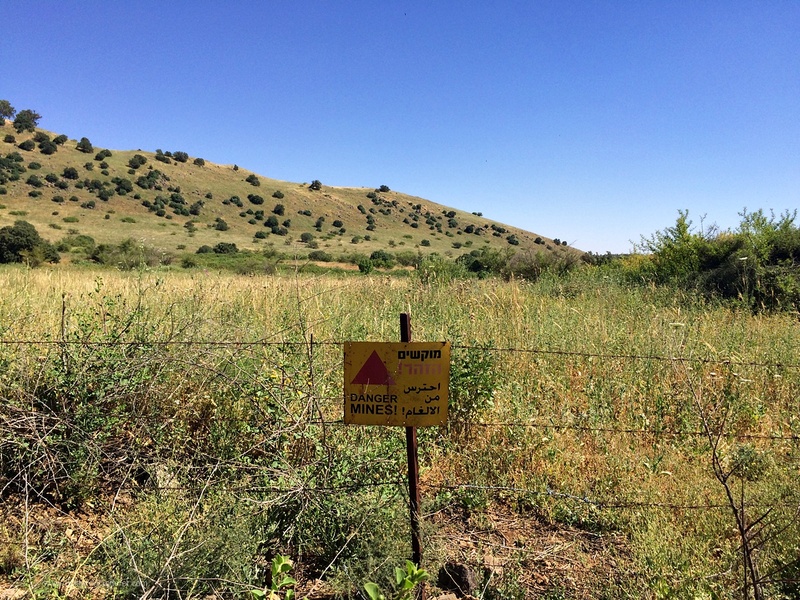 Don’t go off-trail in the Golan. I had never felt afraid while hiking in Israel. 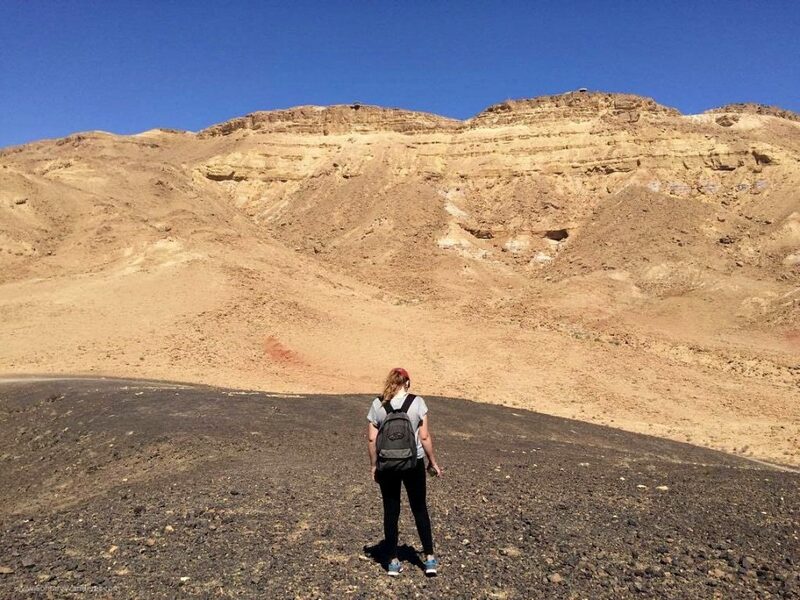 I’ve hiked — solo and with friends — in the Negev Desert, Judean Desert, and the Golan Heights, and even when it already got dark (we set off late, around 7pm) and when I got lost (in the Golan), I had never felt afraid. Of course, in some areas, you should definitely follow warning signs. Up north in the Golan, for example, there are signs everywhere that it’s not allowed to veer off the trails. There are still active landmines, and there’s no knowing where those might be. I went hiking solo in Ein Akev. 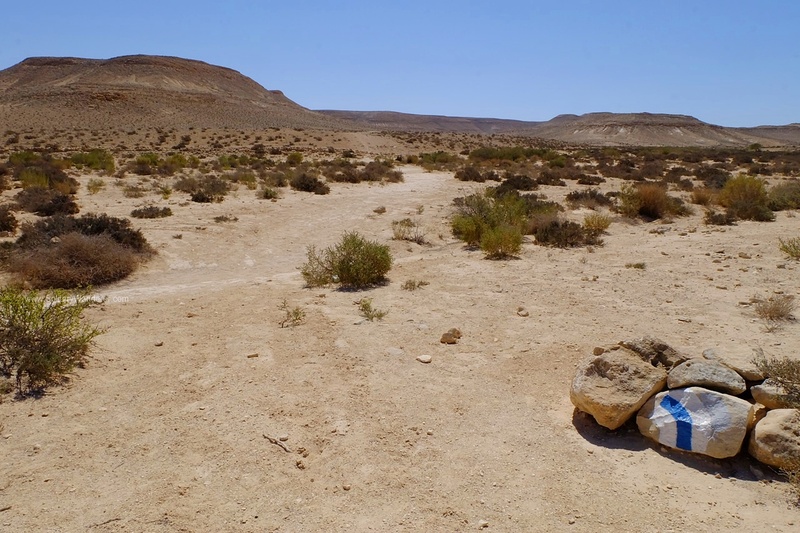 In the Negev Desert, as well, there are areas which are off-limits to hikers. 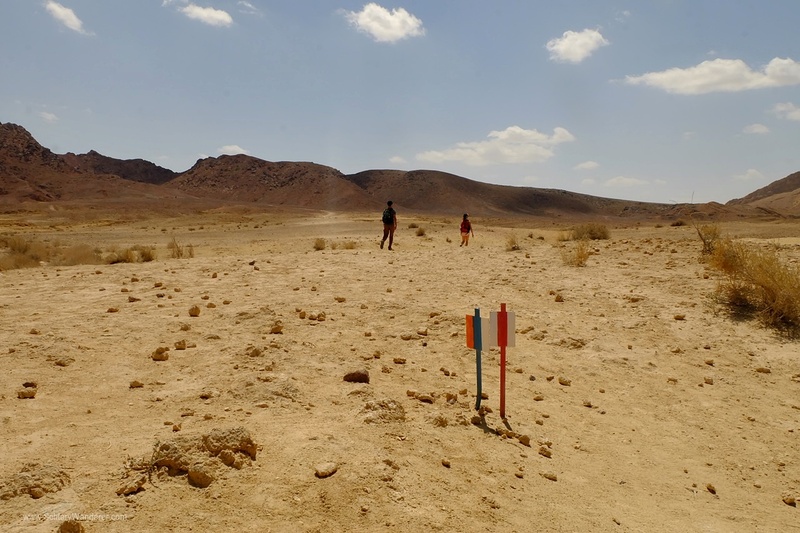 Around 80% of the Negev are used by the military for practice, and it’s not a good idea to stumble into a firing zone. Down south, towards Eilat, there are some places where you could unwittingly cross the border to Egypt, which is, of course illegal and potentially dangerous. It’s safe to travel solo in Israel, sure, but not if you’re foolhardy and ignore expert hikers’ advice. 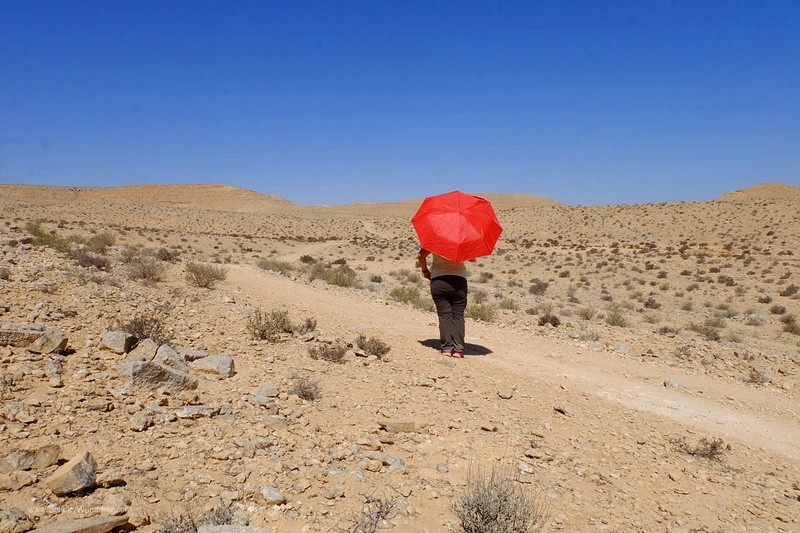 Whether hiking solo or with friends, follow these simple (but very important) tips from the Negev Trails for a safe and memorable hike. The desert is beautiful but it can also be harsh. But you know what, when you’re hiking in Israel, you need A LOT of water, especially in the desert. 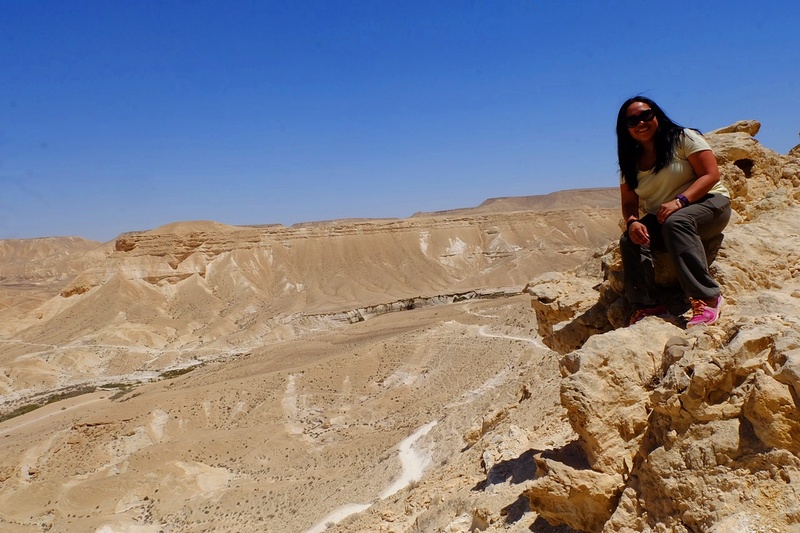 It’s not like the Philippines where you can find streams or other water sources in the mountains; in Israel, there’s just an endless expanse of sand and rocks. Even in the jungles of the Golan, where it’s not so hot, it’s still recommended to bring at least 2 liters of water for short hikes. 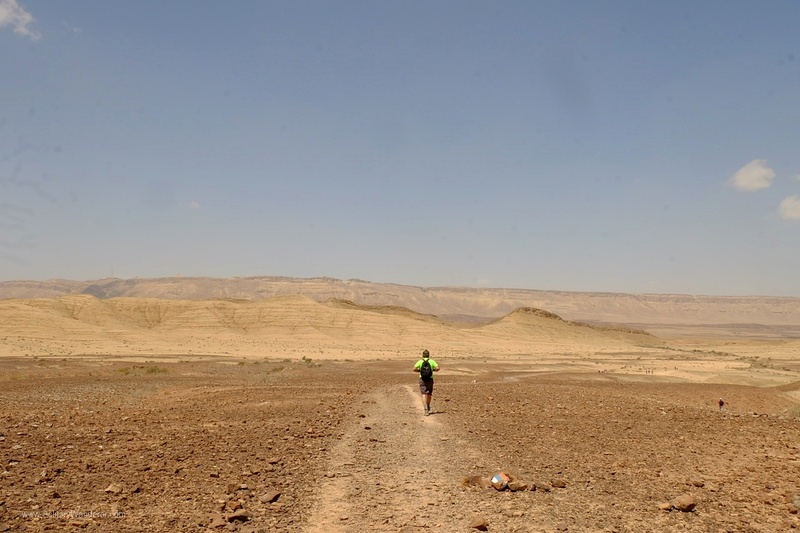 Dehydration is a very real danger when you’re hiking in Israel, and it is so easily prevented by bringing water. Gorgeous views in the Ein Akev hike. 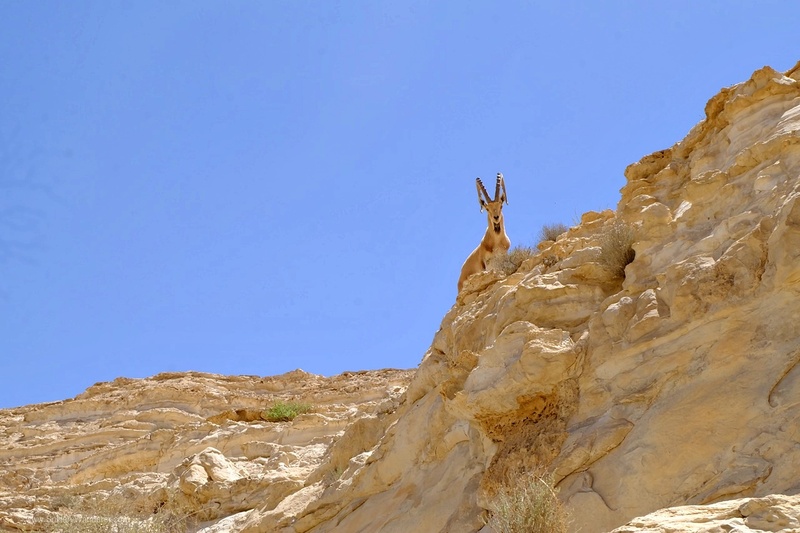 Some might like to feel “adventurous,” and go off trail when hiking in Israel. Don’t. As I said above, it can be dangerous, especially in the Golan where there are still landmines or in the Negev where they have firing zones. Make sure to ask the hostel/hotel staff for a hiking map and which hiking trail is best for you. Follow their advice and don’t just change your mind at the last minute. If you get lost somehow, or something happens to you, the Search and Rescue team won’t find you if nobody knows which trail you took. To avoid getting lost, make sure that you can see the next marker from where you’re at. You should see one after 150 meters or so, and after every junction. If you can’t see one, go back to the last marker and try to find the next one. Don’t just go ahead and hope you can find the next one, as it will only get you lost. And yeah: always tell someone where you’re going or which trail you’re taking. 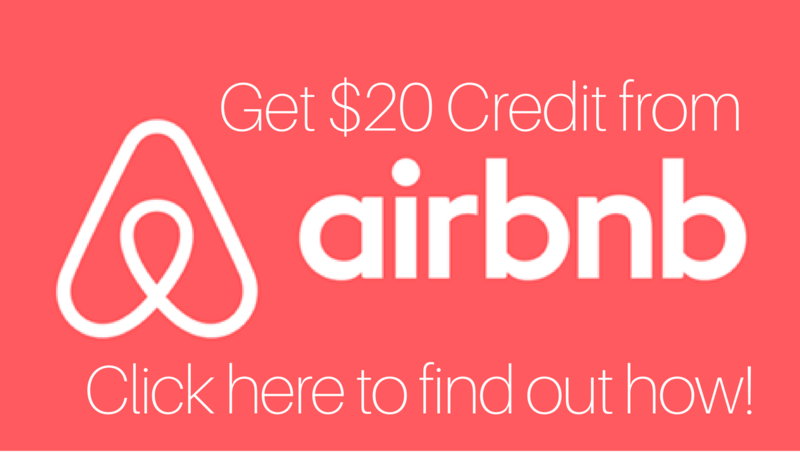 That includes the hotel/hostel receptionist, your dorm roommate, or parents/friends back home. I always bring an umbrella when I go hiking! I understand you want to look great in your photos while hiking. After all, you have followers in Instagram or friends in Facebook who want to see you hiking in flowing dresses and sandals, right? When in Israel, ditch those impractical attire and wear appropriate clothing. It means no open-toed sandals; use hiking shoes (I just use my New Balance running shoes), a hat (or why not be like me, and bring an umbrella? ), and lots of sunscreen. In colder months, make sure to bring a jacket or windbreaker just in case. One of the wild animals you’ll encounter in your hike — the ibex. Make sure to get back to town well before nighttime. Hiking in the dark can be dangerous (and in winter, quite cold! ); you can slip and break your ankle (or worse), and if you’re hiking solo, there will be no one to get help for you. There are wild animals as well in the desert, although as a rule of thumb, they — hyenas, foxes, gazelles, ibexes, hyrax, among others — are more afraid of you than you should be of them. Spring is the best time to hike in the desert. While you can go hiking year round in Israel, it’s best to do it in the colder months. I arrived here in March (springtime) and went hiking in the desert from March to May, and the weather was fantastic. I could leave at 8am and it still wouldn’t be too hot. During the summer months (June to September), it’s best to hike in the Golan Heights where it’s much cooler. It’s still possible to hike in the desert, but you should leave really early (around 5 to 6am) so you can finish before it gets too hot. If you’re hiking the whole day, make sure to rest during noon time and find shade, otherwise you’re at risk for heat stroke. Hiking solo in Israel is safe and easy. Indeed, for hikers and nature lovers, Israel is a must-visit. There’s so much to do in this country! Have you gone hiking in Israel? How was your experience? I have hiked the Israeli Trail, but with an awesome guide who could explain many of the key sights as they relate to the Old Testament. Mostly around the Golan Hts and it was April. Very warm and sunny. Pretty awesome. I’m one of the ignoramuses who had no idea you could do this in Israel. I love the path markers! I hadn’t considered Israel to be a hiking destination before, but it looks beautiful! Appreciate you sharing your safety tips. You can never drink too much water! 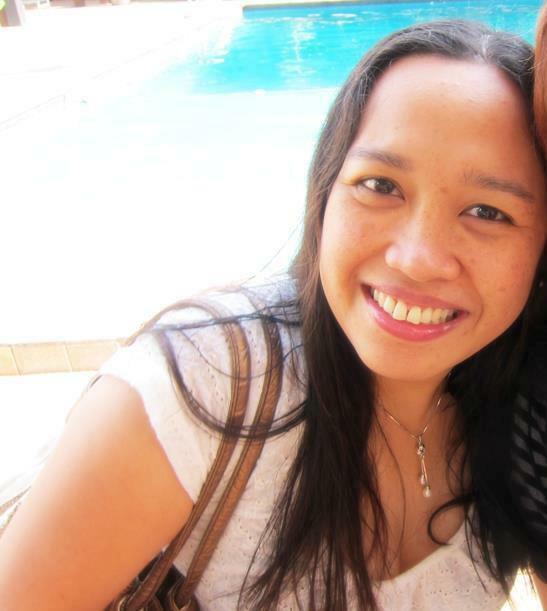 It’s good to know that you had positive experiences as a solo female traveler there. I never think of Israel as a hiking destination. It looks incredible and thanks for some great tips! It looks like a great destination for solo female hikers. I’ve hiked solo in Israel many times over the years. People rarely think of Israel as a hiking destination but it is beautiful. (There’s a reason Jesus & other philosophers and ascetics went out there.) If I recall correctly, the rule of thumb for drinking water in the desert was about 1L per hour. I can’t usually drink that much but that’s the guideline. Another good safety tip is to let someone know where you’ll be hiking. My last desert hike I gave information to the concierge at my hotel and told them if I hadn’t checked in by dark, call out S&R. (Make sure to check back with them when you return!) 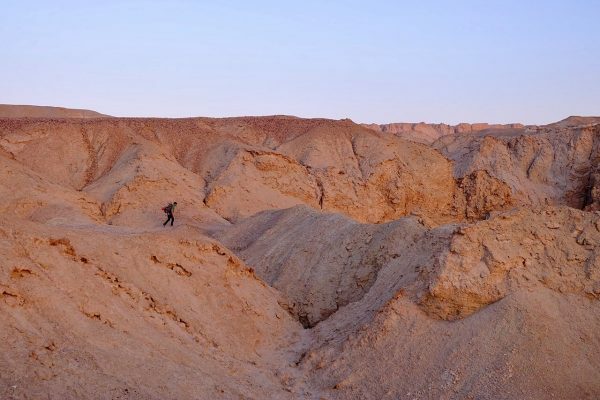 Also, if you are hiking in the desert in Israel in winter, check with the hotel or weather service and make sure you will not be trekking in a dry riverbed where there might be a flash flood (never a problem in summer). The Golan is another great hiking destination, with swimming holes. Consider hiking in adaptable clothes/ swimwear in summer! 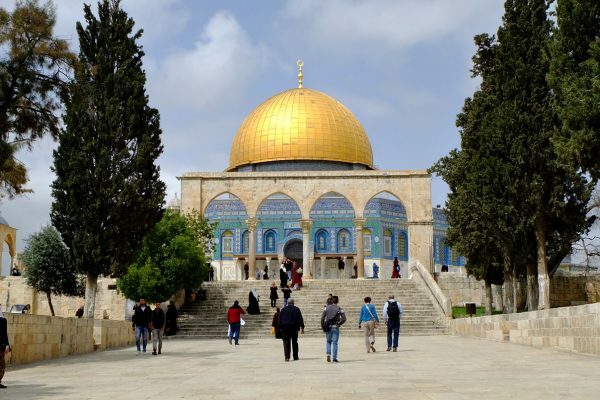 I’ve actually never thought of Israel as a hiking destination, more for historic sites and a religious pilgrimage, though as a nature and outdoor enthusiast who loves hiking, I appreciate having stumbled across your post. Great to know that it’s safe, and that the country has well established trails. Thanks for highlighting safety tips like maps, sticking to the trail, and LOTS of water. Definitely on the water, especially when you’re hiking the desert. Worst case you have water to spare. Would much rather carry more than I need than be stuck in the desert with none! I like how there is a definite trail and it does look like a good hike. It seems very open though, a cap , sunblock and if ever an umbrella is a must. I sometimes fail to bring enough water, thinking it’s heavy to carry around but in wide open spaces such as that—- hmmm I better carry enough. That is so encouraging! I wouldn’t want to be lost during a trek in a foreign country. Very thoughtful of preparing markers along the way to keep trekkers safe. I’m WAY too gutless to go hiking solo – but it’s not so much about safety, more about having someone to watch my back if i get injured and a second opinion about track direction!! Besides, I like the company! 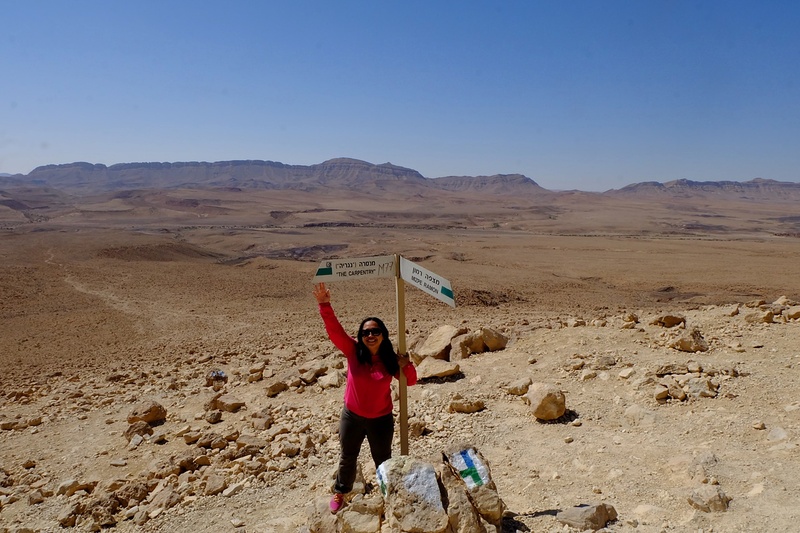 Having said that though, your post made me realise that maybe solo hiking isn’t as scary as I thought – the tips apply to hiking almost anywhere – and if you can do it in Israel, then I surely can do it in OZ! So great to see you getting out there and breaking out of your comfort zone. For other solo hikers out there, go for it, but do leave information with someone you trust (like your hostel) about where you’re going, when you expect to be back, so if something does happen on the trail, someone will be looking for you! Way cool Aleah. We want to see Israel soon. 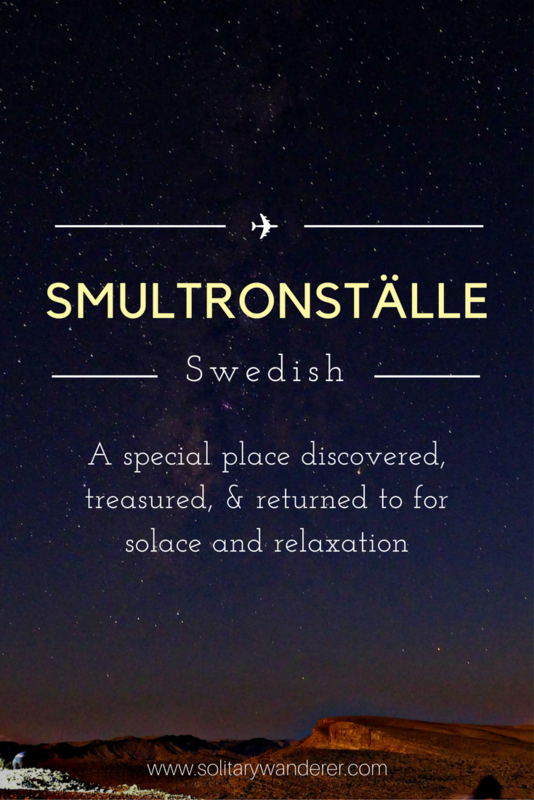 Definitely up there on the travel list. As I get a bit more fit I am definitely down for more hikes too. We do plenty of walking but it’d be neat to hike and see some of that immense pristine beauty in that region. Nice to hear that you are having a good time in Israel. How long will you stay?